"When Verizon Wireless announced its new shared-data plans in June, it should have enjoyed a big advantage over its arch-rival, AT&T." Pooling data is a great idea, and one that many wanted, but they didn't want to be forced into it as Verizon was planning to do. 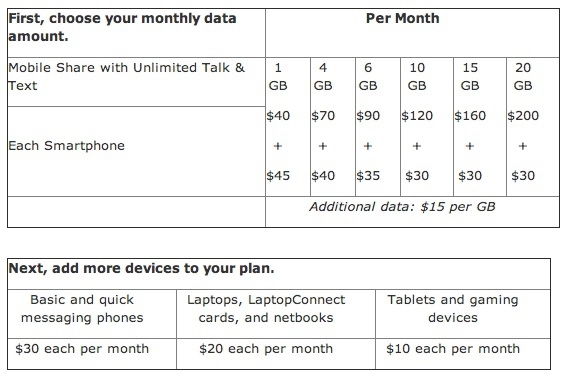 AT&T at least is making their pooling plans optional. Choice is always better, but only if it is truly your choice! What are your thoughts on this misstep on Verizon's part and the resulting plans from AT&T?